Originally this post had been meant to coincide with the release of the Hollywood adaptation of Orson Scott Card’s “Ender’s Game”. I have subsequently added to it, and it is now quite long. I would welcome any responses to the questions I pose. 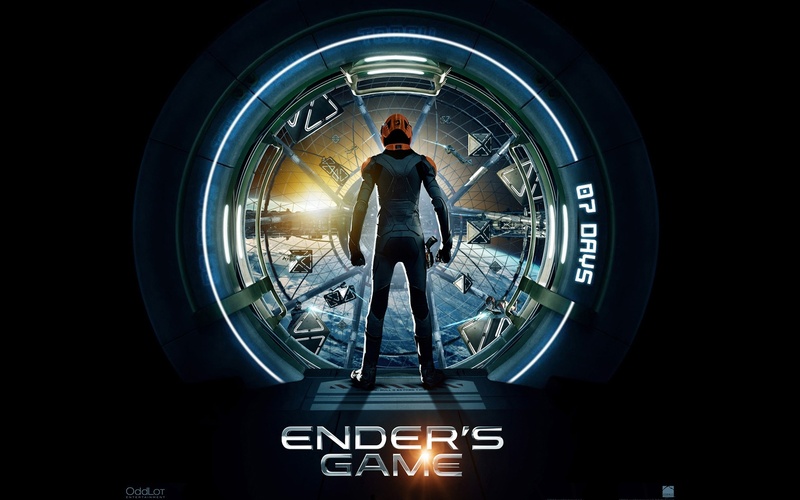 In the lead up to Enders Game there had been controversy, and calls for a boycott, on the basis of Card’s strongly held and strongly expressed views about homosexuality, homosexuals, and the law (and apparently just his “goddamn lunacy”). Now I haven’t seen the film, and it has been about two decades since I’ve read the book, so I don’t want to broach here the topic of whether the material reflects Card’s views (if it does my adolescent-self didn’t pick up on that consciously, but then my adolescent-self had no real concept of LBQGTI realities, heteronormativity, or cisgender). Nor do I want to discuss the quality, or otherwise, of the film or its source. What did interest me in the discussion is the way that our knowledge of the artist’s personal views and politics influenced the way we received the text. Can we / should we judge art by what we know of the artist? (I will discuss each in turn and try to speak sensitively, particularly regards Dylan Farrow, but I do here want to give a trigger warning on discussions of child sexual abuse, just in case). Now in posing that question, I accept as a baseline assumption that we do. I know I do. To take one example: I won’t listen to Chris Brown songs because, a) domestic abuse, and b) they are terrible. Yet despite Roman Polanski’s history I can still appreciate his version of Macbeth. I assume others experience these same reactions. 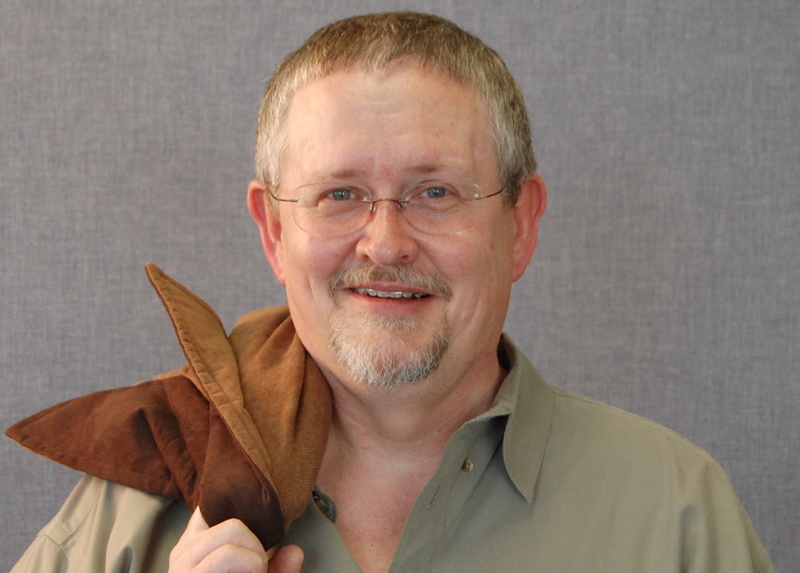 When Orson Scott Card’s novel Ender’s Game was soon to be released as a film many groups (such as Geeks Out) called for boycotts, or stated that they wouldn’t go to see the film, as a form of protest against Card’s homophobia. Tyler Coates responds directly to this call, accepting that Card was a homophobe (or at least that Card had published an article in 1990 which contained homophobic material), yet disagreeing with the boycott. In doing so he explicitly separates the art from the artist. He allows that we can accept that Card is homophobic, without the entailment that his book, or the film based upon it, are themselves homophobic. For myself, I didn’t boycott the film per se. I didn’t see it though, so perhaps the controversy did enough to turn me off it. I felt a boycott would punish so many other people than Card, the actors, the director, the studio, the crew, etc. I expected that most of these people would not have shared Card’s views, some or many of them were likely themselves victims of Card’s prejudices, and yet their incomes or careers may have depended to some extent on the film’s success. But on the issue at the core of what I wanted consider – on the separation of the artist from the art – I ended up persuaded that a homophobe could produce a book which not only was not itself actively critical of gays, but that was ironically a tale which might empower the LBQTGI reader. In much the same way that Charlton Heston could portray a character in Ben Hur who was intended to be gay without realising that he was, or the way Charlton Heston could portray a human as the victim of an ape hunting party while being a leader in the NRA. 4. Commit to a discussion: All of these actions are useful to do in private. But whatever you decide in relation to Ender’s Game, talk about it. Talk to the people you would normally go to genre movies with, but whose invitations you’re turning down this time. Talk about it when you decide to go, and explain why you’re making the decision—but also why you’re taking offsetting action. Speak about this from a place of conflict if that’s what you’re feeling, as a genre fan, if that’s what you are. Ethical consumption is a difficult thing to do. And exposing that difficulty and those contradictions, and that they’re part of your process as a consumer, is perhaps the most important thing any of us can be doing, whether we swipe our credit cards or not. I honestly have lost track of what the hell is going on here. LaBeouf plagiarises Daniel Clowes, and later apologises, but then it turns out his plagiarism apology was plagiarised, at some point there was an apology written in the sky, then they go back that he had plagiarised an email about his father and what it meant to be a man, then he retires from public life, then people are so confused they think maybe the whole thing is performance art, and then Shia agrees that -yeah, it’s performance art, and he plagiarises his explanation of plagiarism as performance art, and by now he’s a meme (because everything will eventually be a meme). 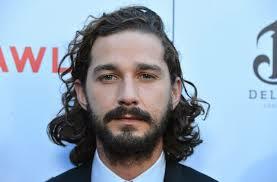 Among all of this ranting and confusion LaBeouf has offered up the explanation that there is no artist, there is only the art, that all art is plagiarism, that authorship is censorship, and other meta-post-modernist theories that seem to have given him the justification for taking another person’s work and without credit passing it off as his own so that he might profit from it. In that regard at least there needs to be a connection between the artist and the art, if not one of ownership then at least one of authorship. Once that connection exists then, as a consumer, I must be aware that my support of a work of art is support for its author, for its creator. Financial support certainly, but support beyond that also for the whole edifice of artistic expression, for the whole system that allows for people to survive, to thrive, as a reward purely for their capacity to create. 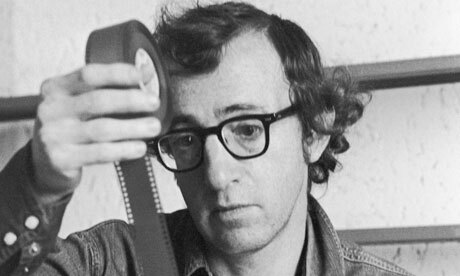 And so to Woody Allen, who by any measure has thrived as a result of his Hollywood successes. He is in the midst of an award season that will honour him for a lifetime of creating art. The allegations he currently faces are not new, indeed they have passed the statute of limitations apparently by over a decade. When they were first made an investigation was undertaken which did not find enough evidence to continue. I know little of this case in its specifics, and that through the lens of media. Certainly I am not qualified or able to assign guilt or to suggest that I know the truth of the allegations. I did read Dylan Farrow’s open letter though (here, with a reminder that it frankly discusses the abuse she alleges), and it was a difficult thing to read. I have not personally been the victim of sexual abuse, but I know victims, I have spoken with victims about their experiences and the feelings that arose from those experiences. I made enough of a connection between Farrow’s description in her open letter and the cases I know personally to form a storng personal opinion. Enough to make me query the ethics of supporting Allen’s art. Cate Blanchett and Alec Baldwin, both among those mentioned by name in the letter, have each spoken about this being a matter for the family, and not for outsiders. Allen himself has repeatedly in the past, and again in recent days, denied the accusations. Yet with Mia Farrow, and Dylan, and further tweets from Ronan Farrow (Dylan’s brother, Mia’s son – and possibly Woody’s) being made so publicly how can we as consumers be expected to remain clear of the situation? Either we discontinue support for Allen, on the basis of these allegations, or we continue to see his films – knowing that his profile in Hollywood brings Dylan further anguish – in an act of either explicit or tacit support for him. The ethics of this decision, and the ethics of Hollywood‘s decision(s) to either continue their awarding of Allen’s work or to distance themselves from the art created by a tainted artist, are difficult. Ultimately they must decide if awarding his work, and him as the creator of that work, in any way endorses his character. I suspect it need not, but the realpolitik of the situation may not allow that cold rationalism to stand. For myself, as a writer, I have no such dark skeletons in my closet as homophobia, plagiarism or sexual abuse allegations. I do though have strongly held political and social views. Many of these will have opponents who equally strongly hold their diametrically opposed views. This makes starting out as an writer feel sometimes fraught. I wonder will the art I create be assessed and enjoyed independently of me. I suspect that’s an easier thing to be assured in when you have no public profile, but we all now have the public profile of social media. I re-worked my name so that my writing would not be immediately obvious to a casual search of my name. I am strident in my views on my personal Facebook, but muted on Twitter where I try to maintain a more neutral and professional presence. I wonder if this self-censorship is even necessary. I wonder whether revealing my political beliefs will alienate potential readers. Some months ago I saw the twitter stream of an author I was considering reading (or at least adding to my long to-be-read list). I don’t remember the author’s name now. A few tweets was all it took to remove that author from my list of future reading, because I found that she supported many social-political view-points with which I disagreed. Was I unfair in that? Should I have given the books a chance to speak for themselves without being coloured by my view of the author’s politics? Would I have read the books if I hadn’t seen that author’s personal views? Would I be disappointed if a potential reader was lost to my speaking out on an issue that I believed in. In all three cases I am almost certain that the answer is yes, yet not for a moment have I regretted the decision I made. The flip-side is likewise true; I have actively sought out the books of authors whom I have come to realise might share my interests and socio-political beliefs. For writers still seeking to make their way, to find their niche, to find their audience, I believe that there is an important lesson in that.